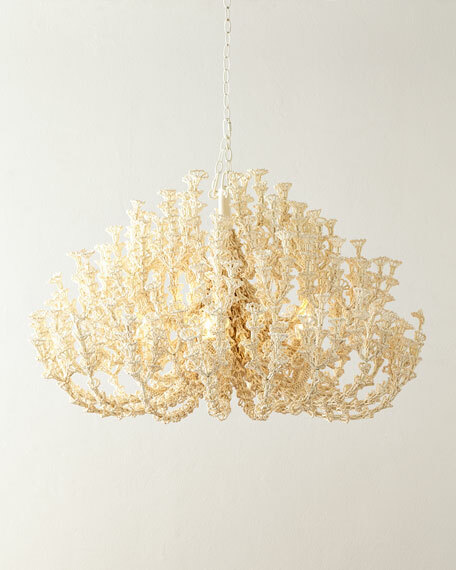 Coco chandelier, featuring tiny, polished coconut beads. Uses five bulbs; 40-watt max. Dust with a dry clothe or duster. Made of coconut shell, coconut wood, and iron. 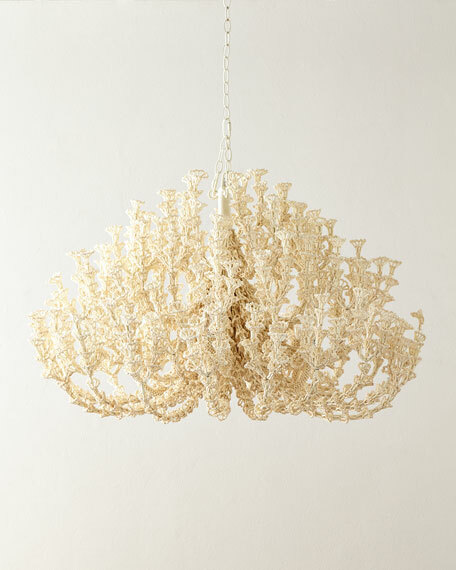 This beautiful handcrafted chandelier is fully beaded and created out of tiny coco beads that are cut, crafted, and polished into a soft white finish, from the inside of the coconut shell. 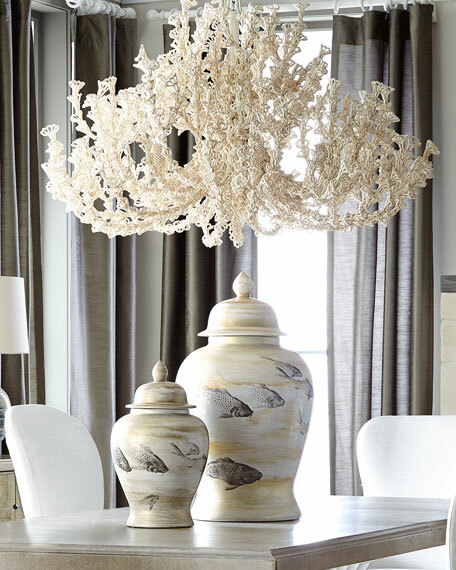 This plug-in candelabra supports five candelabra bulbs and includes an in-line switch, complete with matching chain for hanging.